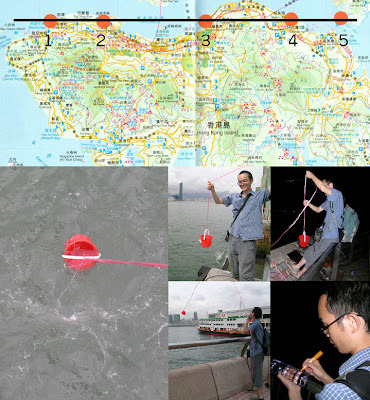 I drew a horizontal line on the map of Victoria Harbor. The horizontal line went through five coasts. I collect a bottle of seawater from every coast. The seawater is of the same height. 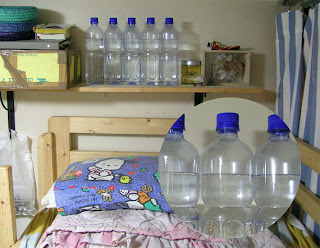 I put the five bottles of seawater at home. A horizon emerged.